J. R. Brooks in the area of business litigation. 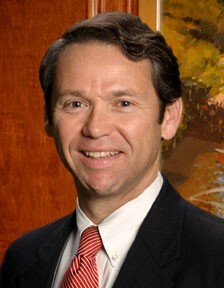 Daniel Beasley in the area of medical malpractice. George Royer in the area of local and municipal law. 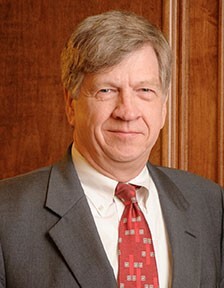 Woody Sanderson in the area of civil litigation. Greg Burgess in the area of civil litigation. Travis Jackson in the area of workers’ compensation. Graham Burgess in the area of banking law. Lauren Smith in the area of labor and employment law. Super Lawyers is a rating service of outstanding lawyers from more than 70 practice areas who have attained a high degree of peer recognition and professional achievement. The Super Lawyers patented selection process involves peer nominations, independent research, and peer evaluations. Selected through the same process, Rising Stars must be either 40 years old or younger or in practice for 10 years or less. Up to 5 percent of the lawyers in the state are named Super Lawyers; and no more than 2.5 percent are named Rising Stars. With attorneys recognized throughout Alabama, the Huntsville-based law firm of Lanier Ford provides the sophisticated advice and advocacy expected of a much larger firm with the personal attention and responsiveness of a smaller firm. The firm provides services for a wide variety of clients: businesses, corporations, providers of professional services (doctors, accountants, engineers, and other lawyers), cities, county governments, school boards, law-enforcement agencies, non-profit organizations, and individuals. Among other issues, the firm’s attorneys regularly advise clients about starting, buying, growing, and selling businesses; such day-to-day operational issues of any private- or public-sector organization as taxes, employment law, financing, collections, and intellectual property; and such personal concerns as wills, estate planning, retirement planning, marital planning, probate, trusts, guardians, conservators, and real estate purchases and investments. The firm’s attorneys litigate, mediate, or arbitrate cases involving professional liability, governmental liability, employment discrimination, civil rights, commercial disputes, personal injury, wrongful death, construction disputes, bankruptcy, securities, and shareholders’ rights—among many others.